SD-WAN stands for Software Defined Wide Area Network. Businesses are seeing a dramatic growth in their WAN traffic with an increasing reliance on software to drive critical business functions. SD-WAN uses a central control function to direct this traffic across the WAN. The beauty of SD-WAN is that this traffic is transferred quickly, safely and smartly and by smartly we mean you can prioritise and even block irreverent or insignificant traffic. SD-WAN offers an alternative to traditional technologies, providing users with enriched management experience, zero touch configuration and dynamic path selection along with VPN capability. The benefits provided by switching to SD-WAN are considerable compared to more traditional WAN products. One significant advantage is a considerable reduction in running costs along with better provisioning times and improved branch uptime. 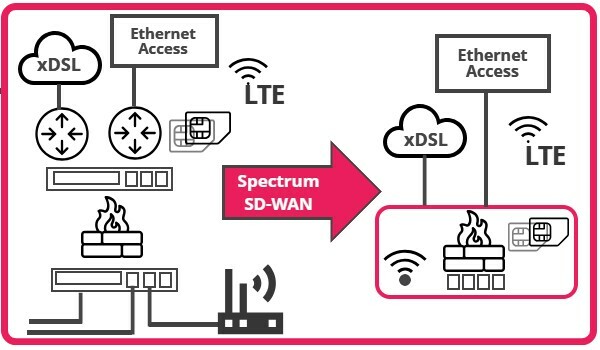 Spectrum can provide agile enterprise-grade WAN connectivity which is quicker to deploy than traditional WAN technology. It is more cost effective than traditional WAN technology and provides connectivity into cloud providers. The best part is it’s not dependent on the carriers, so you can be agnostic on your network. Why choose SD-WAN for your business? Ensure the productivity of your staff remains unaffected by sluggish connections during peak times. The right connectivity can enable you to take advantage of cloud-based services such as server virtualisation, offsite back-up solutions and VoIP-enabled telephony. A dedicated, uncontended connection can make a huge difference to your communications tools, allowing them to work faster. With a regular broadband connection, if you’re sharing the line with others in your building, the connection speed will slow down during peak times. We have spent many years advising customers on ways to cut their costs. We have a wealth of experience in fixed line, mobiles, telephone systems and data circuits, not only as separate entities but the multiple ways in which they can be linked together to increase efficiency and reduce your costs. We then produce easy to read bills, provide a versatile online portal and your account managers are always on hand to help you to understand your bill or your account and make sure that your business gets the most out of the services you need. For many of our long term customers, we offer on-going auditing as part of the service from Spectrum. Contact us to find out how our auditing services can help put you in control of your telecoms. Providing flexible solutions to support the Pioneer Group’s evolution. 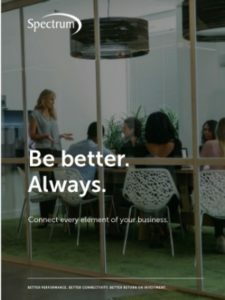 Better business connectivity for today and tomorrow. Can we help your business reach its full potential?